Verdure che ricrescono dagli scarti. Categorie: Avversità, Curiosità, Il prato nel piatto, Orto, Orto in cucina | Tag: agio, basil, basilico, bok choy, carote, carrot, cavolo cinese, celery, cipolle, coriander, coriandolo, garlic, lattuce, lattuga, onion, restart, ricrescere, scarti, sedano, veggies, verdure, waste | Permalink. Categorie: Alberi da frutta, Curiosità, Orto, Orto in cucina, Rimedi naturali | Tag: aglio, blueberries, cherries, ciliege, cipolla, cranberries, fragole, garlic, kidney, lamponi, mirtilli, onion, peperone rosso, raspberries, red bell peppers, rene, strawberris | Permalink. 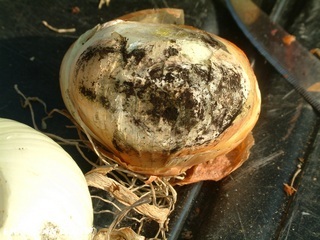 Black mud in onions. Muffa nera nelle cipolle. 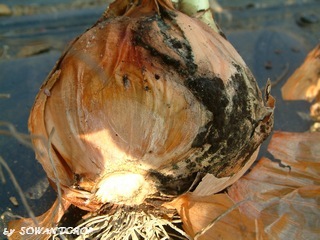 Black mud is classic for not good storage of onions. Moist and warm places are necessary for its development. 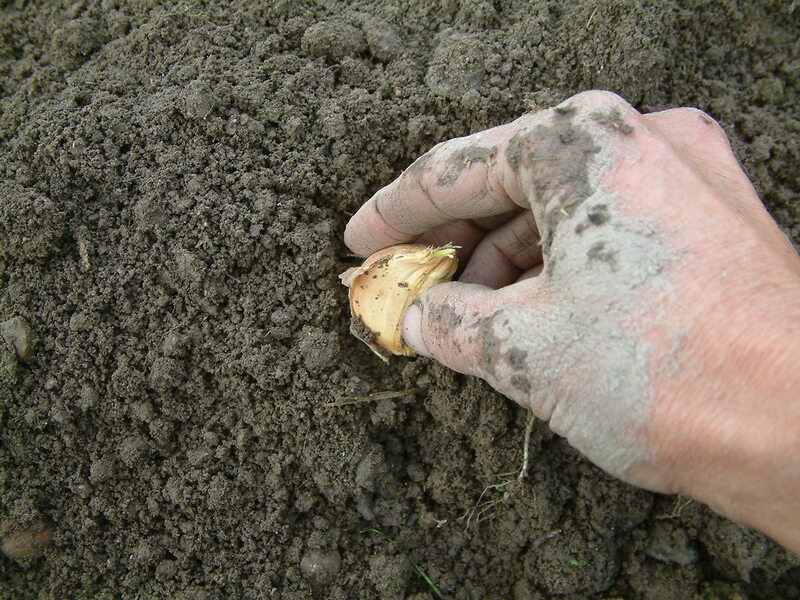 This is the aspect of onoins with black mud. 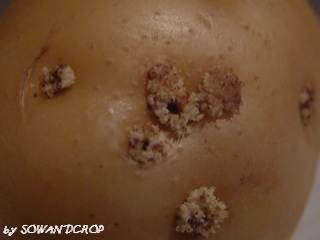 Under the damaged layer thewre aren’t lesions. 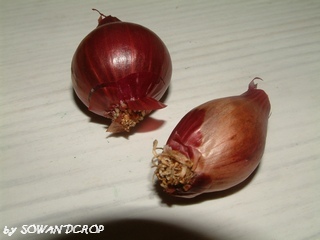 To prevent this problem onions are to be stored after a complete drying process, before on the soil (with sunny days) and then hung in aired and warm place. 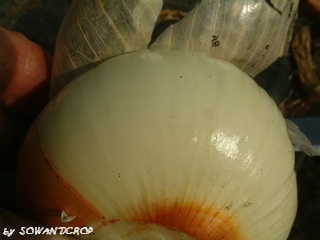 Categorie: Avversità, Orto, Rimedi naturali | Tag: allium cepa, black mud, cipolla, immagazinamento, mud, muffa, muffa nera, onion, storage | Permalink. 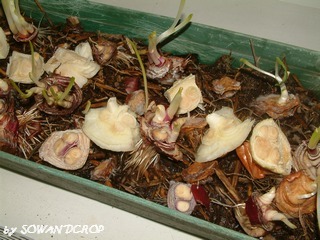 Onions from discarded onion bottoms. 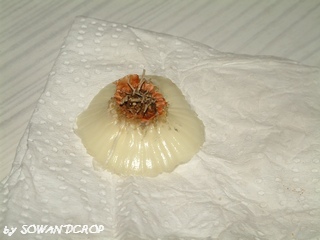 From this I try to re-start a new onion: put it into water to rehydrate it for about ten hours, and then in a well drain soil. New up-dates for looking at what happens! 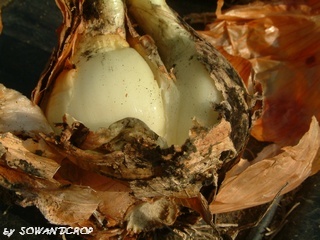 Categorie: Curiosità, Orto | Tag: backyard, cipolla, onion, orto, restart, ripartire | Permalink.